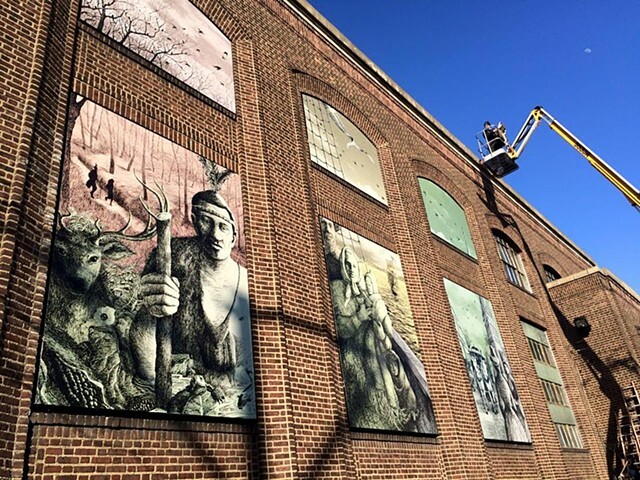 “East Passyunk: Crossing Through the Ages,” a five-panel mural commissioned by the East Passyunk Crossing Civic Association, was installed over rusted and broken window panes on the northeast corner of 13th and Mifflin streets. The mural, commissioned by EP Crossing to be executed by area artist Donna Backues, tells the story of the neighborhood dating back to the 17th century. Then co-chairs of EP Crossing, Joseph F. Marino and Darren Fava were key players in conceiving the theme. And Fava, a Philadelphia Parks & Rec employee with a firm grip on South Philly history, helped source images for Backues through the Historical Society of Pennsylvania. 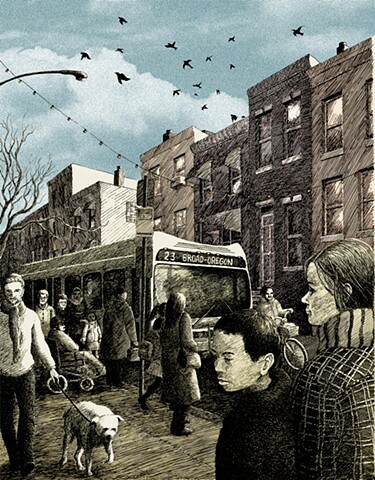 The project also got support from the City of Philadelphia Mural Arts Project and SEPTA.